What do Russian prisons look like? Who is sent to prison in Russia? How is punishment allocated and administered? This pioneering book aims to answer these and other questions by embarking on a journey that begins by exploring how the prisons have survived the collapse of the USSR, and ends with a discussion of global penal politics. 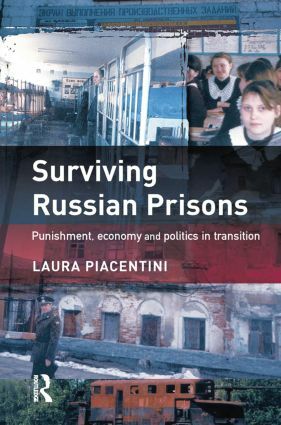 It is the first book to have been written in English on penal practices in the contemporary Russian prison system. Surviving Russian Prisons focuses in particular on the reality of work and labour within Russian prisons, exploring its changing function. From being for much of the twentieth century a major activity as well as an ideological justification for prison regimes, its main function now has been to enable prisoners to survive through participating in a barter economy. In exploring the microworlds of the Russian prison this book at the same time presents new evidence and offers fresh insight into how prisons are governed in societies undergoing turbulent social and political transformation; it explores how current practices in relation to prisoners' work comply with international regulations designed to promote humane containment and positive custody; and debates the nature of knowledge on penal discourse in transitional states.